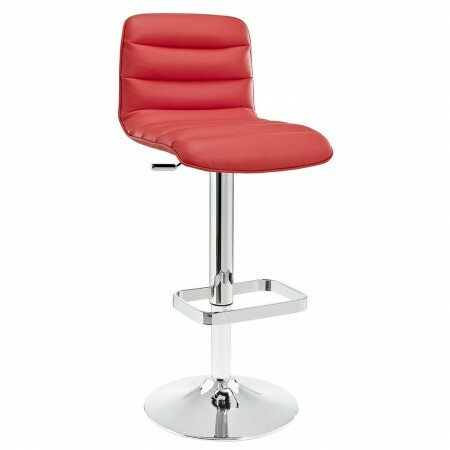 Ripple red bar stool is a comfortable and modern solution for a home or commercial establishment such as restaurant. Strong construction allows for a heavy usage so these stools is a smart investment. Fully cushioned adjustable height seat is with chrome plated round base, tube and footrest.